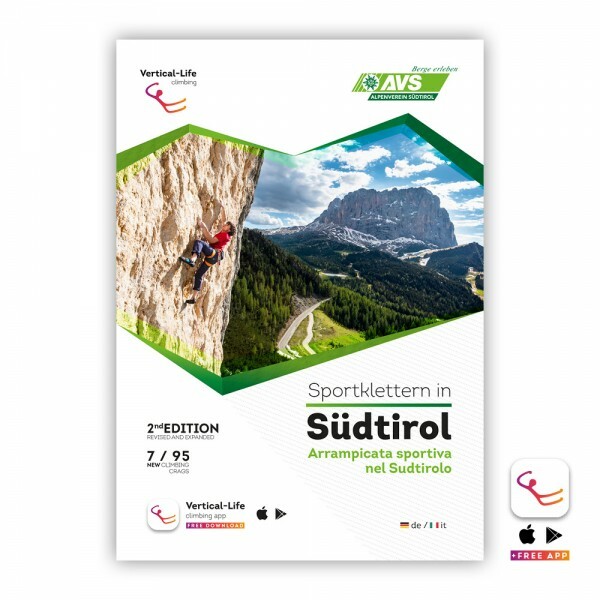 Product information "South Tyrol: Sport Climbing Guidebook"
South Tyrol can boast a very wide variety of rocks and landscapes. Whether on granite, marble, porphyr or dolomite, next to vineyards or against the backdrop of the Dolomites: the climbing reflects just as varied and interesting as the country itself. The sport climbing guide was created in collaboration with the South Tyrolean Alpine Club AVS and has been completely updated and revised. It contains information about 95 sports climbing crags, 7 of which were newly added in this edition. Related links to "South Tyrol: Sport Climbing Guidebook"
Customer evaluation for "South Tyrol: Sport Climbing Guidebook"